Technology is constantly changing the way we interact with the world around us. It’s made nearly all aspects of our lives easier and more efficient. Today, we don’t need to leave our house to get food, remember phone numbers or use a chunky map book to find our way around an unfamiliar city. Our mobile phones act as an all-in-one tool which connect us to information and businesses at the tips of our fingers. One industry that is currently experiencing huge change and disruption is real estate. Here’s how technology is affecting the industry in 2019. In recent years there has been a lot of action and investment into the real estate sector, particularly around what is known as “Proptech”. Fueled by the booming property industry, more and more real estate property technology companies are securing investments and disrupting the sector. For example, Roofstock, a turnkey, rental property online marketplace, has rapidly expanded into 35 markets such as Atlanta, Greater Tampa and Miami and is expected to continue to do so. Roofstock is being joined by a wide range of companies looking to capitalize on the real estate market. Amazon, Facebook and even autonomous vehicles are set to disrupt the property market. People are spending more and more time shopping online, and these companies are looking to facilitate these consumer behaviors within the property market. Roofstock, for example, allows busy professional to invest in property without having to ever visit the property or source tenants. Compared to traditional property investments, the convenience of online marketplaces like Roofstock is appealing to many technologically adept investors. Big data is responsible for much of the recent technological advancements. Algorithms and machine learning are able to analyze large sets of data and make predictions about consumer behaviors and intentions, right down to an individual level. Big Data is how Netflix knows what shows you want to watch, how Amazon knows what products you want and how Facebook knows what memes entertain you. In the real estate world, big data can help companies predict when people are ready to purchase, as well as what they are looking for in a property. More personalized interactions and better targeted listings can help real estate agents make more sales and satisfy customer expectations. Blockchain is most commonly associated with Bitcoin and other cryptocurrencies. Blockchain is the technology that makes cryptocurrencies possible. It’s a public, decentralized, digital ledger that records all transactions. The nature of blockchain means there’s no need for transactions to be centrally verified by authorities such as governments or banks. Without the need for a middleman, buyers and sellers can make transactions at a reduced cost and a faster rate. 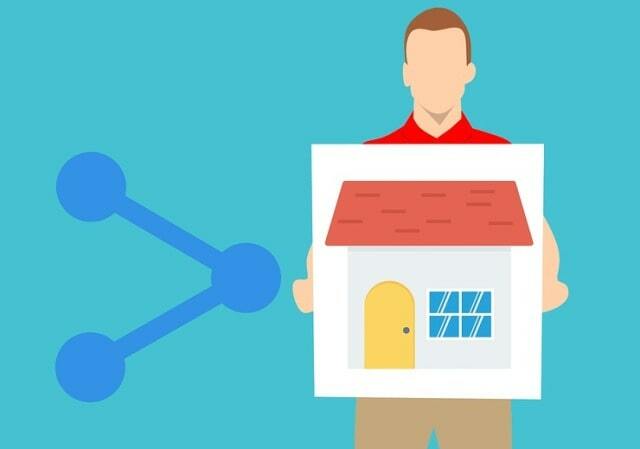 In 2019, blockchain real estate companies are a reality and continue to rise in popularity. These companies are using blockchain to make things like cross-border property transactions easier. Virtual reality and augmented reality are often thought of as computer game gimmicks, but the technology has come a long way in recent years. Virtual reality can now allow potential buyers to tour properties in a completely virtual world. This means they can look at a range of homes all from their own couch, at any time they want. Agents and sellers no longer have to spend time and money on staging open houses and in turn, can increase the amount of people who view the property. On the other hand, augmented reality allows potential buyers to superimpose a computer-generated image of an object on to the real-life space using tablets and smart phones. Augmented reality means anyone can design spaces to easier imagine its potential or better sell an unfinished space. A relatively new concept in the property market is fractional property investment platforms. These platforms allow investors to buy a fraction or a portion of a property and receive a fraction of the rental return. The investors collectively own the property so they can also share in capital returns when the property is sold. Fractional property investment is a way for people to enter the market who otherwise couldn’t afford to invest in their own property. Real estate is just one of the industries that is undergoing change and disruption due to technology. The tech is opening up new opportunities for buyers, sellers, agents and investors alike in 2019. Those who ignore new tech will be left behind, while those who are quick to adopt will reap the benefits.